FC Barcelona defenders Jordi Alba and Gerard Piqué, and midfielder Andrés Iniesta all started in Spain’s 2–2 draw with Colombia on Wednesday night in Murcia, Spain. Another Barça midfielder, Sergio Busquets, dressed but did not see action. Piqué was one of the keys to Spain’s defensive play, helping thwart two of Colombia’s first-half scoring chances. 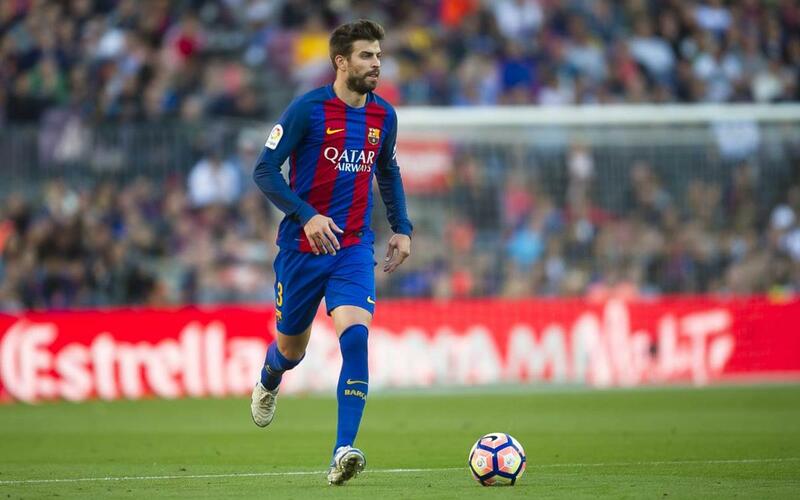 Piqué was replaced by former Barça teammate and current AC Milan midfielder Gerard Deulofeu in minute 55. Iniesta, who played the first 45 minutes before coming off in favor of Marco Asensio, made a nice play on David Silva’s game-opening goal in the 20th minute. Alba was also subbed off at halftime, when he was replaced by Arsenal’s Nacho Monreal. The game was tied at 1–1 at the break, but Colombia took the lead just before Piqué came off the field. With a more offensive-minded Deulofeu on the field, Spain ratcheted up the pressure and eventually drew level at 2–2 when Real Madrid’s Álvaro Morata found the net just three minutes from time.